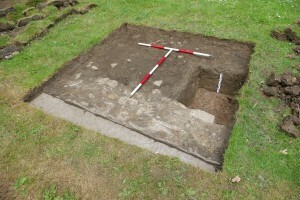 With funding from Community Spaces Ground Works UK and the assistance of Tees Archaeology headed by Rachel Grahame with volunteers from as far afield as Skipton & York, spent 5days within the cemetery re-establishing the positions of the two Chapels and original Lodge whilst learning more about the sites history. After the chapels were demolished during a remodeling programme in the 1970’s along with the removal of approximately 1600 headstones and a number of pathways from the upper area of the original cemetery. Having re-established where the Chapels and Lodge were positioned, what the image top left shows us is, the East End of the Southern Chapel, believed to be that of the Consecrated Chapel of the Church of England, with its drain still in place. The image left shows the wall of the lodge. The activity, also enabled local residents and young people from the Wharton Annex to come along find out about the history of the area and to have a chance at taking part in an archaeological dig. 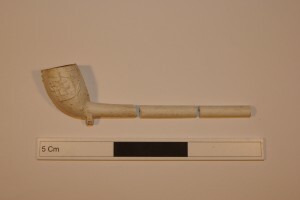 A clay pipe was unearthed. 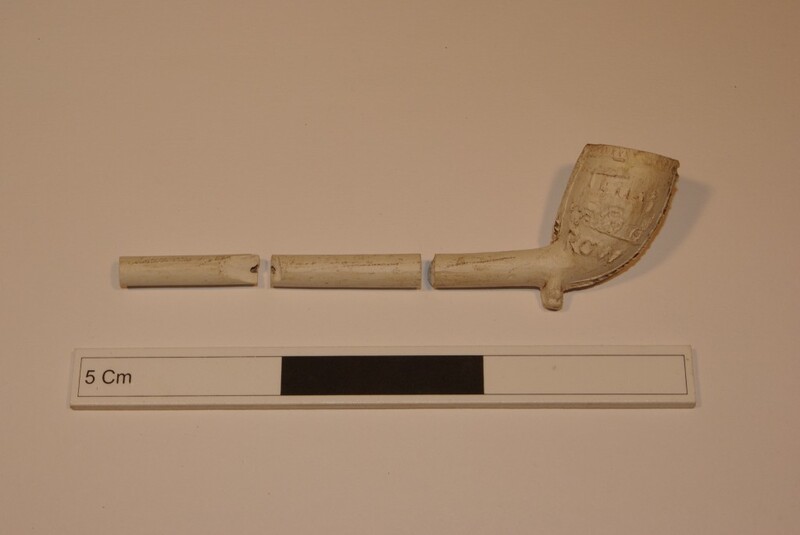 Showing on one side a Railway Engine and the name “ROW”,(Image below right) on the other side a sailing ship, (Images below left) with the suggestion, according to Rachel Grahame of Tees Archaeology, clay pipes like this, were likely given free to a labourer by their employer. 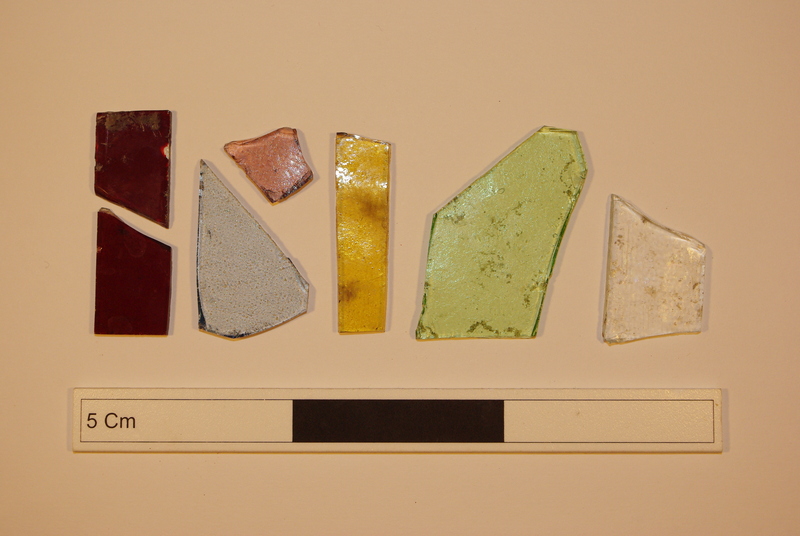 Other finds unearthed included various pieces of coloured window glass (bottom left ) and even a 1914 penny turned up (bottom right), including various bits of pots, remnants of building material, animal bones,and shell fish. 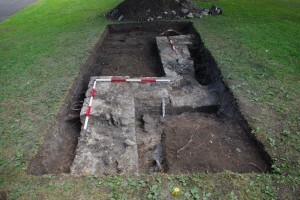 all dating between 19th-20 century were found. It seems strange given the fact the first bombs of the First World War fell on Hartlepool on December 1914 two of those bombs fell on the Cemetery with little damage done according to the Council Minutes of the time. Whilst we have been able to re-establish the position of the original buildings, we have been unable to secure any historical photographs of the chapel/s and lodge. Has Anyone out there got a picture of the Chapel/s or Cemetery Lodge of West Hartlepool Cemetery now known as ”North Cemetery Hartlepool” would be greatly appreciated for our archive.